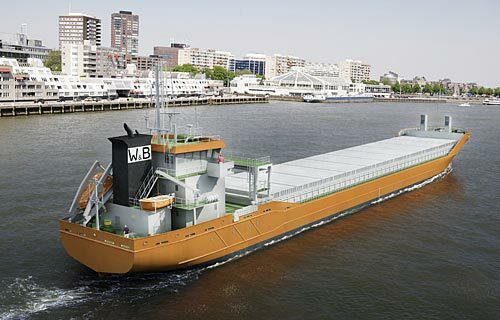 Radio Holland Netherlands has won a tender to supply Navigation/Communications packages for six newbuild vessels of Dutch shipping company Wijnne Barends (Delfzijl, The Netherlands). Wijnne Barends was established in 1855 and has a longstanding relationship with Radio Holland spanning around 50 years. The company currently has more than 30 vessels in its fleet. Radio Holland will supply a full NavCom package. This includes amongst others: X-Band Radar (Furuno, FAR-2117), S-Band Radar (Furuno, FAR-2137S), ECDIS (Transas, NS4000 Platinum), an Echosounder, Speedlog and AIS (all Furuno), Gyro Compass System (Raytheon-Anschutz, STD-22), GPS/Satellite Compass (Furuno, SC-70), VHF (Furuno, FM-8900S), Inmarsat C System / SSAS / LRIT and VSAT (Cobham, SAILOR-800). Wijnne Barends decided to opt for this equipment package with a major part of the systems of Furuno, based on a positive experience with similar packages for its previous newbuilds. The company took delivery of eight vessels in 2015/16, in addition to four in 2012. The six 4,200 dwt general cargo vessels of 98 metres in length have a cargo hold of more than 6,000 m3 and will be trading in northwest Europe. The “Lady-H Class” vessels are designed to meet the highest Swedish/Finnish Ice Class standards and will be built at Chowgule Shipyard, in Goa, India. The first is set for delivery in November 2018 and the final vessel in July 2020. Radio Holland Netherlands has started assembling the first NavCom package.